CASology: Week 323: Weekly Winners! 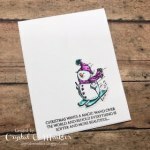 Christine's white die cuts really stand out on the beautiful night sky. She did a great job with lots of white space. 1. 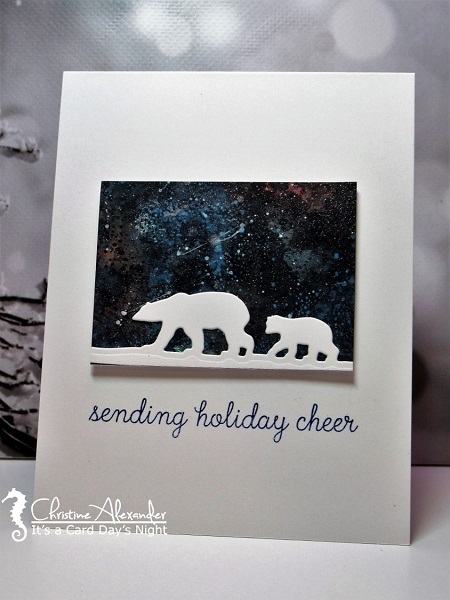 Jen's Choice: Kim's cluster of adorable critters & tiny snowflakes make a sweet wintery scene! 2. 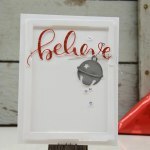 Janet's choice: Love the white layers of Karen's card ... with the tiny pop of red. CAS delight! 3. Joyce's Choice: I love Barb's sweet and mostly white scene and her adorable skating bear. 4. Jacquie's Choice: Even without the amazing light, the details are terrific on this lovely card! 5. 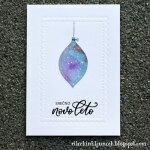 Rachel's Choice: Ma-Mi's gorgeous ink blending steals the spotlight! 6. 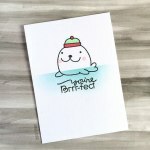 Melissa's Choice: Deepti's adorable, one layer design has the perfect amount of color & white space! 7. Anna’s choice: CAS perfection! I love this so much Ishani! Well done! 8. 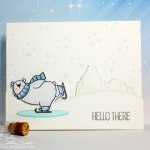 Marcie's Choice: Laurel's beautiful card is crisp, clean and pretty! I love the suspended sentiment. 9. 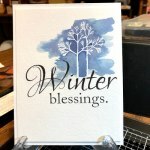 Karen's Choice: I love this card - the blue & white evoke the northern cold and the large sentiment! Be sure to stop back in an hour for challenge #324! 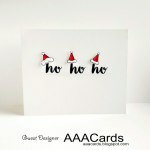 Rachel, thanks for choosing my card as your favourite. Wishing all you a happy holiday season and thanks for all your challenges and inspiration throughout the year. Karen...thank you so much for picking my card! Happy holidays to everyone at CASology! Thank you all for being an inspiration! Merry Christmas!! Thank you so much Anna for the honour, congratulations to Christine, what a stunner her card is!